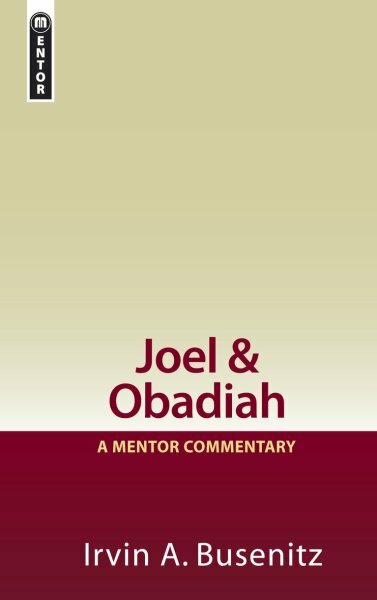 In this book you discover the theme of Joel: The day of Yahweh. You will also discover more about one to whom the day belongs to - Yahweh. The people were facing devastating calamity and Joel calls the society to repent in order that they might escape this judgment and once again enjoy mercy and favour of Yahweh. Obadiah also focuses on the dual aspects of the theme: both that there is judgement and there is blessing. Irvin Busenitz was a member of Faculty at Talbot Theological Seminary before becoming a founding member of The Master's Seminary where he has taught ever since. Dr Busenitz was presented the John Solomon Award for excellence in Semitics and Old Testament, has done post-doctoral study at the American Institute of Holy Land Studies, has published journal and periodical articles, and is active in his local church and in Biblical conference ministries.